Sometimes it's good to have a lazy weekend but I never wish for rain. We have too much of it normally over here but I'm happy to report that we have some of your weather here - clear blue skies and 82 degrees - what a treat! Bon week-end! mmm enjoy some mojitios for me! That sounds like a lovely way to spend a no plans weekend! Enjoy. Sounds lovely! It's too hot here for outdoor dining, strong sunshine and high humidity. Indoor rose always works though! Enjoy the rosé and the weekend... we had plenty of rain yesterday and more forecast today - I can try and blow some down South if you wish? Provence always needs rain so you are very generous in your wishes. You should be here - we have rain forecast (the kids' school fête on Sat was postponed because of the weather) and are planning to celebrate H's 2nd birthday from the couch! Couch and cake, parfaits! Mojitos and a summer rain shower. Sounds lovely!! I hope we will all be happy bunnies this weekend! I hope you are enjoying your mojitos and you will have a lazy rest of the weekend! Well, I hope little bunny that you have a fabulous weekend. Sounds like you are off to a good start with the mojitos and rose. omg I bit of rain to cool of this heat sounds devine!! Ooooh I love days like that when it's raining really hard and all you want to do is stay in and read in a cushy chair with a fuzzy blanket! I have yet to see if London gets good thunderstorms. I know there will be rain, but will there be thunder? We shall see! sounds like a lovely lazy weekend! we're expecting a big storm tonight - if it misses us I will be very angry because I am overdue for some vegging. 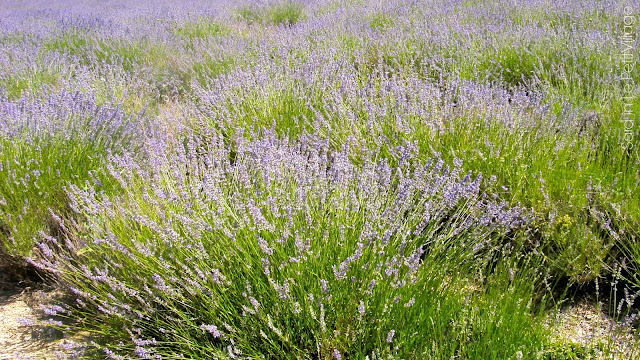 the lavender fields!! so sad i didn't make it to see those... i'll get there one day!